Don't miss the March/April of JNEB. If you have not renewed your SNEB membership, please do so today at http://www.sneb.org/renew. Washington State University Extension County Director — this is a full-time, 12-month, non-tenure, promotion track faculty position at the rank of E-2 or E-3 (analogous to assistant or associate clinical professor), within the WSU Extension Youth and Family Program Unit. The SNEB Early Professional award is presented to recognize an SNEB member who has made notable contributions in the field of nutrition education and to the mission of SNEB during the early stages of their career. Helen Denning Ullrich Annual Award of Excellence in Nutrition Education was established for the purpose of providing an annual award in honor of Helen Denning Ullrich. This award recognizes an SNEB member for outstanding achievement in the field of nutrition education. 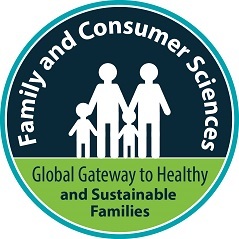 The Mid-Career Award is presented to recognize an SNEB member in "mid-career" regarding his/her professional accomplishments in the field of nutrition education and for significant contribution to the mission of SNEB. Application of a four-stage model facilitated development of a successful intervention to prevent excessive weight gain in young adults, according to research published online Jan. 23 in the Journal of Nutrition Education and Behavior. A Burger King Whopper has less calories than a restaurant salad? For those watching their weight, choosing a restaurant salad over a fast food burger may not be the wisest idea. A restaurant meal that includes an appetizer, salad entrée and one side can contain an average of 1,494 calories, compared to a greasy McDonald's Big Mac Extra Value Meal that will set you back 1,130 calories, according to the Journal of Nutrition Education and Behavior. Contrary to concerns about obesity and some students packing on "the freshman 15" in weight gain, another reality is that many college students are not getting enough healthy food to eat as they struggle with high costs, limited income and fewer food or social support systems than are available to other groups. The findings were published recently in the Journal of Nutrition Education and Behavior. Although weight gain intervention for young adults attending two- or four-year colleges has been studied extensively, there has been little research into effective weight management programs targeting low-income, non-college bound young adults. A team of registered dietitian nutritionists from the University of Maine has developed a weight management intervention program that is particularly relevant for disadvantaged young adults. Their results are published in the Journal of Nutrition Education and Behavior. AudioSlides are short, webcast-style presentations that are shown next to the online article on ScienceDirect. This format gives authors the opportunity to present their research in their own words, helping readers to quickly understand what a paper is about and appreciate its relevance. Check out the presentation now available for this JNEB article, "The Influence of Chronological Period of Data Collection on Differences in Reported Dietary Intake among School-Aged Children Surveyed in 39 Countries," by Prof. Apolinaras Zaborskis. MyPlate eCatalog reviewed three Abrams Learning Trends resources. 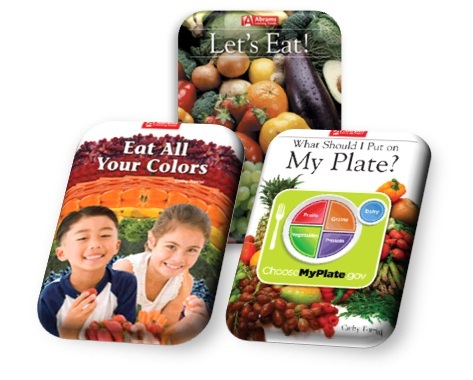 All 3 BIG BOOKS were designed for early childhood/early elementary and would add color and nutrition to any classroom. University of North Carolina at Chapel Hill via EurekAlert! All those people who've been telling us for years that we should eat more healthy foods and cut our calories — stop, take a moment and celebrate. It appears that we actually listened. A new, extensive study from The University of North Carolina at Chapel Hill's Gillings School of Global Public Health says that it wasn't the Great Recession or any economic downturn that created a leveling of U.S. obesity rates as other scholars have suggested. Citing evidence showing that food and beverage marketing in schools is a public health concern, Rudd Center's director of marketing initiatives, Jennifer Harris, Ph.D., MBA, and Tracy Fox, MPH, RD, from Food, Nutrition & Policy Consultants LLC, urge policymakers, school district leaders and parents to take action in a recent editorial published in JAMA Pediatrics. A new CDC study published online in the Journal of School Health found that among those surveyed, one in five youth perceive their tap water to be unsafe and nearly two in five youth consider their school water fountains to be unsafe or unclean. The Association for Size Diversity and Health announces the release of its updated Health at Every Size Principles, now available here. A federal excise tax of a penny per ounce on sugar-sweetened beverages would generate more than $13 billion dollars in revenue per year, according to an new estimate derived by researchers at the Rudd Center, in collaboration with researchers from the University of Illinois at Chicago. The Rudd Center has updated its Revenue Calculator for Sugar-Sweetened Beverage Taxes, an online tool which gives estimates of revenue from taxes on sugar-sweetened beverages. Healthy food choices — how to we get there? Organic, conventional, locally grown and natural — these are all terms consumers hear every day, but do they really understand their meaning? Are consumers making informed purchasing decisions or are they simply making food decisions based on what they hear in popular culture and media? On Friday, Feb. 21, join a group of farmers and ranchers, nutritionists and food pundits for a discussion on food production, nutrition and making healthy food choices. Harvesting Nutrition contest — learn more about submitted projects! The submission period for the Harvesting Nutrition contest ended Dec. 1, and we received more than 50 submissions from impressive projects in all regions of the world, sharing with us how you can improve nutrition by bridging gaps between agriculture, nutrition and food security.